CAN-CAN! 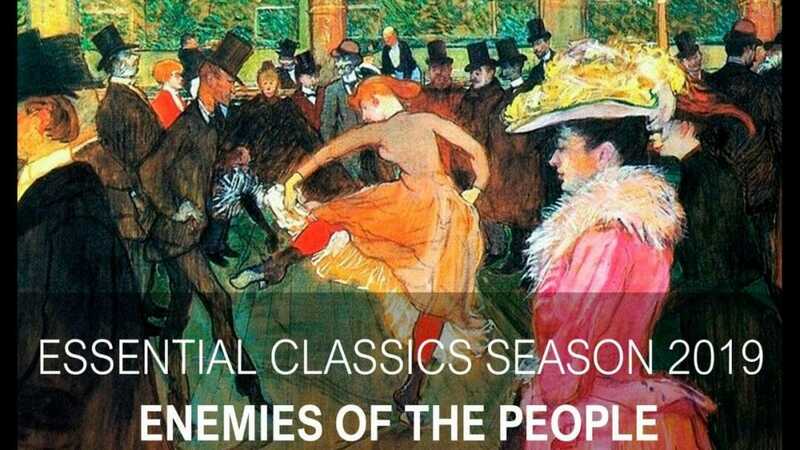 The New Offenbach Dance Musical opens this week at the Union Theatre in Southwark and will run from Wednesday 6th February – Saturday 9th March as one of the productions in the Essential Classics 2019 season: ENEMIES OF THE PEOPLE. Set in 1890s France during the Golden Age period, known as La Belle Époque “Beautiful Era”, CAN-CAN! is a fun and frivolous new dance musical adapted from Offenbach’s original operetta Orpheus in the Underworld and features a 17 strong all-singing, all-dancing cast. Loosely based on the original book by Sir Arthur Wing Pinero, CAN-CAN! features the larger than life performers of the Moulin Rouge who scandalised Paris in the 1890s. Overflowing with joie de vivre, it includes the early stars of the can-can dance: Jane Avril, known as “Queen of the Moulin Rouge” and La Goulue “The Queen of Montmartre”, together with the artist Toulouse-Lautrec who promoted his muses to stardom on posters and paintings, and the young Offenbach. They are joined by a glittering line-up of speciality acts, dancers and well-known figures of their day. Features a newly arranged score with a treasure trove of gorgeous operetta melodies by Offenbach, Lehár and others, culminating in the famous can-can dance itself. The Union Theatre’s annual Essential Classics season was established by Phil Willmott in 2014 as a means of introducing new audiences to work in which great writers of the past have reflected on issues we face today. Other productions in the series include Arthur Miller’s An Enemy of the People and Shakespeare’s Othello. CAN-CAN! Is at The Union Theatre 6th February – 9th March 2019.